The Mount, Edith Wharton’s home in Lenox. By many measures, the museum world today seems sexier and more successful than ever. The Metropolitan Museum of Art announced in June that its annual attendance had topped 6 million for the third year in a row, its highest levels on record. In the Boston area, institutions including the Institute of Contemporary Art, the Isabella Stewart Gardner Museum, and the Peabody Essex Museum have opened sleek new additions or entirely new buildings designed by big-name architects. The Museum of Fine Arts recently opened a glamorous new American wing to great fanfare. 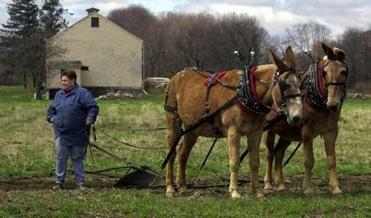 Far outside this moneyed club lies the humbler community of small historic house museums. Located in former private homes, and often run by local historical societies and volunteers, the museums share a traditional template featuring a guided tour, antique furniture behind velvet ropes, and a small gift shop. Sometimes the original residents of these houses-turned-museums are still nationally or regionally famous—presidents, great artists, or titans of industry. But in many cases they were merely wealthy locals, or other citizens whose home just happened to survive long enough to become the oldest building in town. Whatever the original motivation for their preservation, historic house museums have become a ubiquitous feature of America’s cultural landscape. The National Trust for Historic Preservation roughly estimates that there are more than 15,000 across the country—that’s more than the number of McDonald’s restaurants in America. House museums can seem like the sleepiest corner of the museum world: They tend to be small spaces with small budgets, elderly volunteers, and even older furnishings. But recently they have become the center of a live, even contentious debate. Although some well-known house museums are thriving, many smaller and more obscure places are struggling. Their plight is so drastic that some preservationists are now making an argument that sounds downright blasphemous to defenders of these charming repositories of local history: There are simply too many house museums, and many of them would be better off closing. But others parry that house museums—even the struggling ones—play an important role in the culture, and that the basic model isn’t broken at all. “I feel deeply the opposite,” said William Hosley, a Connecticut-based former museum director and current consultant who has become something of a firebrand on behalf of small historic house museums. “The future of not just tourism but our cultural heritage in general are these thousand points of light, these local communities that have some special thing, that have something deep and meaningful. Not every house museum is great, but I’ve never seen two alike.” Creative new ideas for savings or repurposing imperiled house museums are beginning to proliferate. Meanwhile, this tranquil corner of the world has turned into a battleground over cultural homogeneity, public vs. private ownership of community resources, and the decline of public history in America. The world of house museums is wildly diverse and a little hard to pin down. That’s part of their charm. It also makes any comprehensive list impossible. Here’s a totally subjective selection that gives a sense of the range of what a house museum can offer. Mount Vernon, a 21-room home on the banks of the Potomac River, was the longtime home of the country’s first president, so it is fitting that is also became the country’s first house museum. For history-museum professionals, the story is legendary: The house was falling into disrepair when a wealthy South Carolina woman, Ann Pamela Cunningham, and her newly assembled Mount Vernon Ladies’ Association banded together to purchase and restore it in the 1850s. It remains the most popular historic estate in the country. 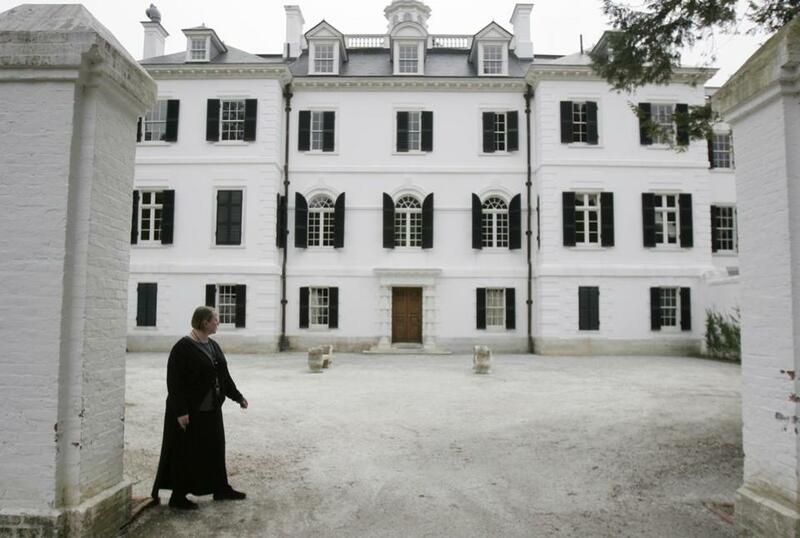 The Virginia mansion became the blueprint for thousands of its descendants all over the country, as state and local organizations began saving significant properties in a process critics call “museumification.” The first wave of preservation focused on Revolutionary War sites. By the early 20th century, houses were being saved for their architectural interest, their famous former residents, or simply because it felt wrong to allow them to be demolished. The nation’s bicentennial in 1976 launched a new outbreak of interest in local history; again, the default move was museum creation. “Every community in America in some way got interested in their history” in 1976, said Carl Nold, president and chief executive of the Boston-based “heritage organization” Historic New England. The typical house museum invites visitors to imagine themselves as residents of a home at a particular moment (or moments) in history, and informs them about a slice of the country’s past. Traditionally, it features a tour led by a volunteer docent, perhaps one wearing a period costume, leading visitors up tight staircases and down hallways and letting them peek into rooms featuring an arrangement of antique furnishings. House museums’ vibrancy and professionalism may vary, but there’s always a certain memorable magic to be found inside. At the very least, many of them tell a local story that might otherwise be forgotten. A survey of existing local house museums illustrates just how profuse they are. In Massachusetts alone, you can tour the homes of Paul Revere, Nathaniel Hawthorne, Louisa May Alcott, and Clara Barton, but also lesser-known lights like inventor Benjamin Thompson, ship-owner Jeremiah Lee, minister Benjamin Caryl, and 19th-century activist and author Edward Bellamy, best known for writing a utopian novel set in the year 2000. Some sites wind up competing with each other: In New Hampshire, there are two Franklin Pierce house museums less than 30 miles apart, run by two different organizations. House museums face obvious problems like competition from rival museums and online distractions. Then there’s the declining emphasis on history in public education. But the problem reaches beyond the classroom, and raises larger questions about contemporary cultural priorities. As Hosley points out, 20th-century philanthropists like Henry Ford and the Rockefeller family devoted millions of dollars to public history museums like Greenfield Village and Colonial Williamsburg. When Calvin Coolidge left the presidency, he became president of the Council of the American Antiquarian Society. Today, the Gateses and Clintons of the world are more likely to invest in public health or STEM education—worthy causes, of course, but not ones that are about public history. 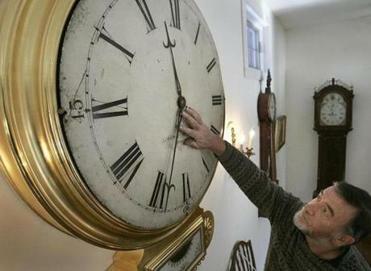 Willard House and Clock Museum in North Grafton. In her speech last fall, Meeks called Mount Vernon “a beguiling exception, because it established and forever legitimized a model that just doesn’t work very often.” Many house museums are run by small nonprofit organizations, staffed largely by volunteers, and boast minimal endowments. Some limp along on annual budgets as low as $10,000, just enough to fix a leaky roof and pay the bills for heat, electricity, and a security alarm. The National Trust for Historic Preservation survey found that more than half received no more than 5,000 visitors a year. In 2011, the organization produced a “Closedown Checklist” for historic house museums considering their options. In New England, which boasts more museums per capita than any other region, and whose tourism brand is built around history, the problem is particularly pressing. “House museums in particular have a number of challenges, not least this great competition in New England because there are so many of them,” said Dan Yaeger, executive director of the New England Museum Association, which serves institutions and professionals in the region. “It’s a competition for resources.” The organization doesn’t keep track of house museums specifically, but more than half of its 486 institutional members are history museums, and 73 percent of those have annual budgets of less than $250,000. What’s the harm in letting a house museum limp along indefinitely, and even fail? Critics point out that this often means deferring critical maintenance that actually works against the aims of preservation, for one. But the larger issue is that if a house museum attracts only a trickle of visitors—some are open by appointment only—it isn’t serving its community as robustly as the building could in another capacity. Turning a historically significant property from a near-empty museum into a bustling community center isn’t a failure, they say, but a success. The museums’ supporters protest that small historic house museums have something more special to offer than simply a space for community, if given the chance to survive. As museums, they often emphasize the intimate domestic stories of women and family life, frequently overshadowed by grander narratives in larger museums. The offbeat, sometimes haphazard nature of their collections also means they are a repository of the strange and diverse, the kinds of things that might slip through the cracks in more professionalized institutions. (Yaeger points out that these offbeat collections can become a burden, especially as baby boomers begin downsizing into smaller homes and turning over the contents of their attics to local historical societies.) They often serve small and remote communities that don’t have big sparkling art museums: A National Trust survey in 1988, the last major national survey of house museums anyone has conducted, found that 70 percent of all house museums are in rural locations or in places with populations under 50,000. Historic New England has also assumed a lead role in the discussion about the future of failing house museums in recent years. The organization maintains 36 public historic sites in the region, but it also operates a formal Stewardship Easement Program that offers struggling house museums (and other owners of historic properties) the means to sell while also legally guaranteeing that certain features will be preserved in perpetuity. “There are lots of ways to preserve a building without making it a museum,” Nold said.